Proposed wilderness includes 98,000 acres in Muddy Creek. After strong bipartisan support in the U.S. Senate, the Natural Resources Management Act heads the U.S. House for a vote expected Tuesday. The public lands package includes permanent authorization of the Land and Water Conservation Fund, new national monuments and 1.3 million acres of wilderness protection, hundreds of thousands of which would be in Utah. Update (5:14 p.m.): The House approved the bill 363-62 Tuesday evening. It now goes to President Trump. Rep. John Curtis of Utah’s 3rd Congressional District told KSJD the act doesn’t have everything he wants but plans to support it when the House comes to a vote — and believes his Republican colleagues will join him. Meanwhile, congressional Democrats introduced the Bears Ears Expansion and Respect for Sovereignty Act which would expand the national monument beyond President Obama’s designation to a size of 1.9 million acres. Curtis said he was not involved in the preparation in the bill. He thinks it would fuel division in San Juan County, Utah, where land use and federal government intervention remain controversial topics. 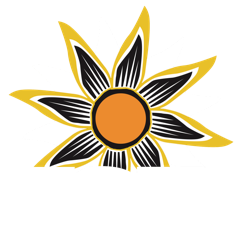 Hear the congressman’s full interview with KSJD’s Daniel Rayzel on the public lands package and the Bears Ears bill.